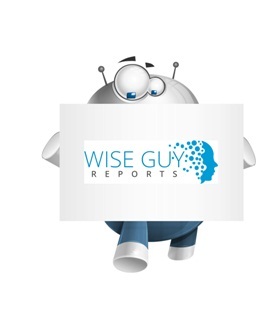 WiseGuyRerports.com Presents “Global Glauber’s Salt Market 2017-2021” New Document to its Studies Database. The Report Contain 92 Pages With Detailed Analysis. Glauber's salt is the common name for sodium sulfate decahydrate that has a chemical formula of (Na2SO4).10H2O. It is named after Johann Rudolf Glauber, a German-Dutch chemist, who discovered it in the 16th century. It (Glauber's salt) appears as white-colored or colorless monoclinic crystals that undergo the process of efflorescence on exposure to dry air and form powder anhydrous sodium sulfate. Sodium sulfate is an inorganic compound (Na2SO4) that is obtained from natural sources and also as a byproduct of chemical reactions. The analysts forecast the global glauber’s salt market to grow at a CAGR of 1.11% during the period 2017-2021. The report covers the present scenario and the growth prospects of the global glauber’s salt market for 2017-2021. To calculate the market size, the report considers the retail selling price is considered as the average selling price of the product. The Global Glaubers Salt Market 2017-2021, has been prepared based on an in-depth market analysis with inputs from industry experts. The report covers the market landscape and its growth prospects over the coming years. The report also includes a discussion of the key vendors operating in this market. • Jiangsu Jingshen Salt & Chemical Industry Co.
• Sichuan Meishan Tianhe Chemical Co.
• Borden & Remington Corp.
• Chengdu Sanlian Tianquan Chemical Industry Co.
• Nippon Chemical Industrial CO.
• Si Chuan Hongya Qing Yi Jiang Chemical CO.